Multinational firms are reportedly using a new arrangement to reduce their tax bills despite the phasing out of the 'Double Irish' scheme. A study by Christian Aid claims that a number of companies have put in place structures to take advantage of the Ireland-Malta tax treaty, which allows them to reduce their tax burden by making sales and profit in one country and booking them in the other. Dubbing the structure the 'Single Malt', Christian Aid suggests that this new arrangement has the same effect as the 'Double Irish', which has been phased out since Budget 2015. The new practice surfaced as part of the charity's study of the Government's 2015 Spillover Analysis, which aimed to measure the potential impact of Ireland's tax code on developing countries. Christian Aid identified four multinationals, including Microsoft and pharmaceutical company Allergan, that had established structures between Ireland and Malta which could be used in a similar way to the Double Irish structures that existed between the likes of Ireland and Bermuda. This was because double taxation agreements supercede Irish tax law, meaning they sit outside of the changes introduced in recent years. Christian Aid said it was also possible for companies to continue to use Ireland as a booking centre for sales in other countries as the Government had opted out of an OECD measures designed to reduce corporate tax avoidance. 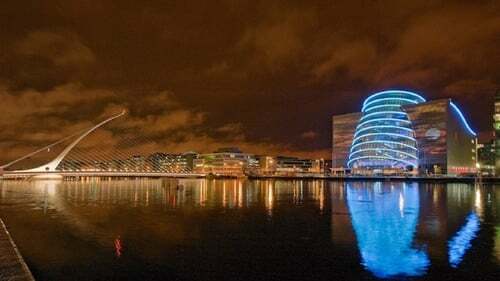 Ireland is a signatory of the OECD's Multilateral Instrument but it opted out of Article 12, which prohibited the transfer of tax liabilities to other countries. Meanwhile the country currently has loose guidelines on transfer pricing, which relates to the royalty fees one company subsidiary charges another. These factors, combined with Ireland's low corporation tax rate of 12.5%, made the country an attractive base for these tax planning arrangements, according to Christian Aid's Sorley McCaughey. "There's no reason why Ireland shouldn't sign up to the [OECD] Multilateral Instrument," he said, which would stop companies from registering sales in one country and booking them in Ireland. He also said the country could apply more stringent transfer pricing rules around intellectual property, while also introduce legislation to ensure that Irish-based firms must also be registered here for tax purposes. However he said there could be resistance to such changes, particularly from those that stand to lose out. "The multinationals are those that, in theory, are set to suffer if there were changes along these lines made," Mr McCaughey said. "Given the important role that multinationals play in Ireland and the degree of influence which they exercise, it remains to be seen whether or not these measures will be applied."